A strikingly beautiful country home, reflecting the changes made by successive generations of the same family, who today still lives at Highclere Castle. Long before the advent of television and film, great architecture was immortalized in images in books and other publications and artists’ renderings. And there is plenty of great architecture in Great Britain. These historic masterpieces — castles, stately homes, and royal palaces; they simply do not build them like that anymore. The good news is that most of them are available for private social receptions, seminars and corporate affairs. And yes, even for private film production, as in “Downton Abbey.” Highclere Castle has been in the architectural history books for generations, and it has been an exclusive event venue for many years. It has been in the same family for several generations and is the present home of the 8th Earl and Countess of Carnarvon. Highclere Castle originally dates from the late 18th century. One of its most prominent features is that it stands alone in an open park landscape. This setting offers unobstructed views and the excitement of approach. The park was “fine tuned” in the early 1770s by the acclaimed Capability Brown, the most sought-after landscape designer of the period. The estate passed to the 3rd Earl of Carnarvon in 1833, who traveled extensively and had big ideas for his newly-acquired home. The architectural beauty that is Highclere Castle today reflects the transformation of an understated Georgian country house into an ornately decorated stately home. Earl Henry John George Herbert retained architect Sir Charles Barry to make his architectural dreams come true. After many designs were considered, the work began in 1842. The significant modifications made included the turreted towers and observatory, giving an immediate richness not only to the roof line but to the overall appearance. Existing windows were adorned with pediments, further adding to the depth and textural quality of the building. Highclere Castle is a powerful presence, yet is graceful and delicately detailed. 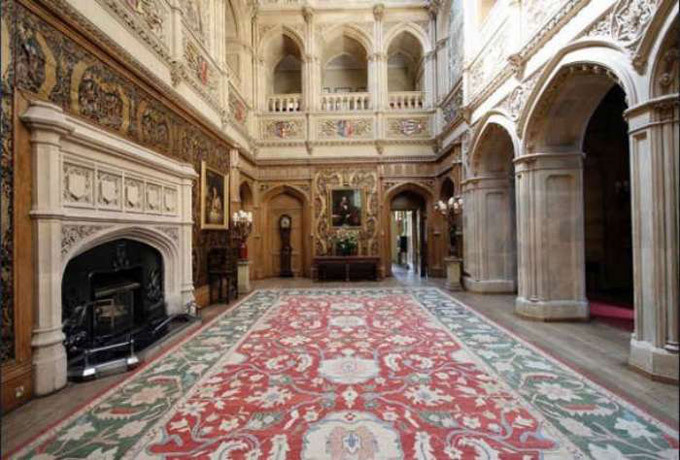 The interiors of Highclere Castle, so beautifully displayed in the very popular television series, were primarily carried out by the 4th Earl of Carnarvon, and are quite different in style to that of the more Italianate exterior. Interior renovations continued over several decades and were completed in 1878. 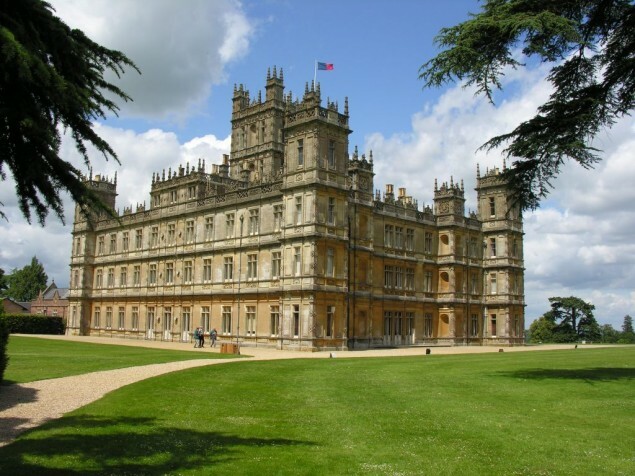 As the 20th century saw the Edwardian period come to life, Highclere Castle, as in Downton Abbey, served as a military hospital in World War I and later returned to private use. It is nothing short of remarkable that the 5th Earl of Carnarvon, along with archaeologist Howard Carter, discovered the tomb of Tutankamun in 1922. An exhibit of this historic exploration is featured in the castle cellar. 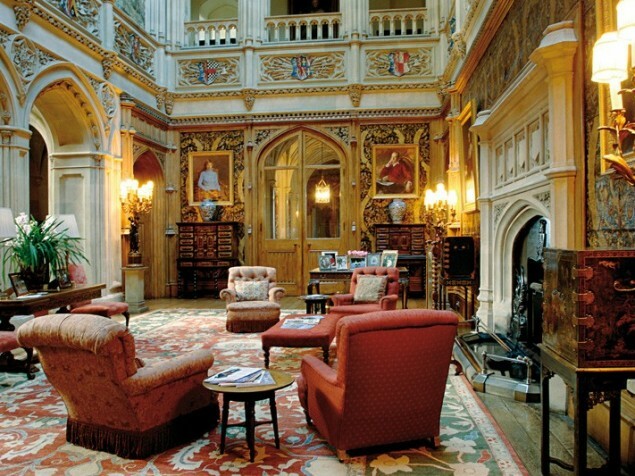 The heart of Highclere Castle is the soaring and breathtaking main hall (saloon) . The Saloon reflects a Gothic Revival style, with its highly-carved decorations on the walls and arches, and features ribbed quatrefoil vaulting in the adjoining entrance hall. The Saloon, which allows natural daylight via 30 skylights, provides a rich and elegant setting for wedding ceremonies, or even seminars. 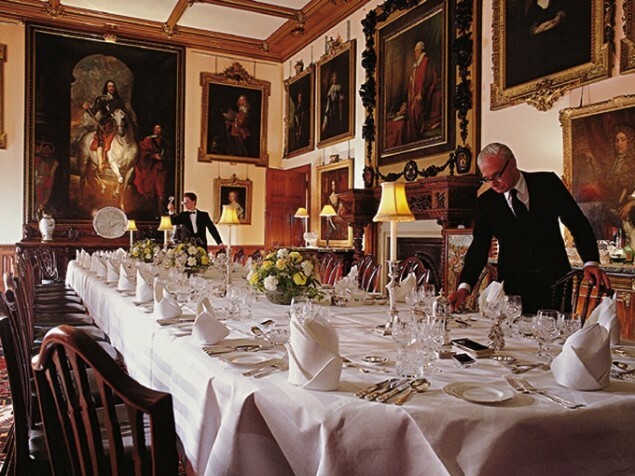 There are several featured State Rooms at Highclere Castle that can be rented for private corporate or social gatherings. Each are quite distinctive from each other. The Library has an ambiance of a Victorian men’s club, featuring a heavily pillared entrance, intricately carved, coffered wood ceilings and ornate fireplace surround. The Library can accommodate dinners for up to 140 and can be configured for receptions and conferences. The State Dining Room resembles a private portrait gallery, featuring a Van Dyke painting of Charles I. Seated dinners for smaller groups, such as rehearsal dinners, can be accommodated. 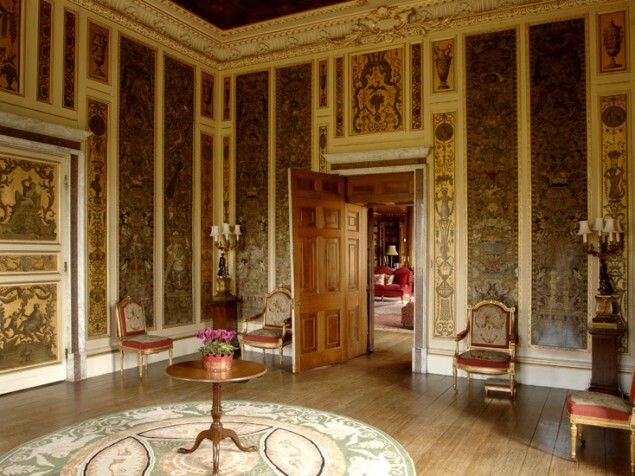 Other State Rooms that can be reserved for cocktail receptions include the Italian-inspired Music Room and the Drawing Room, created around 1900 by the 5th Earl. Highclere Castle is located in Newbury, Hampshire, about 67 miles west of Central London. 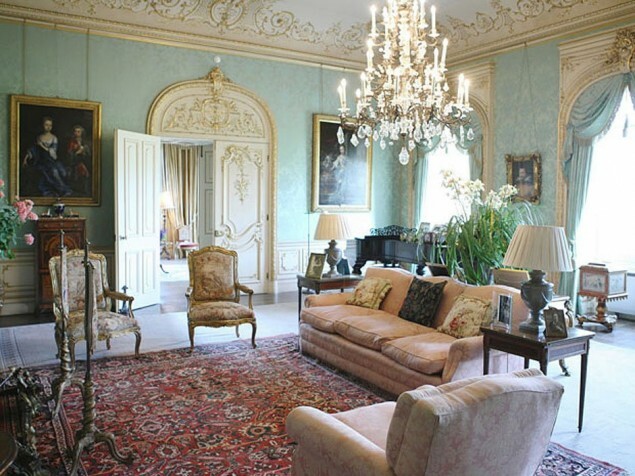 We have admired Highclere Castle for over 25 years. It is unique as a British country house, and one would never know that it was once formerly a simple Georgian residence with quite a different appearance. Highclere Castle underwent multiple successful renovations over many generations, and the results are nothing short of spectacular. 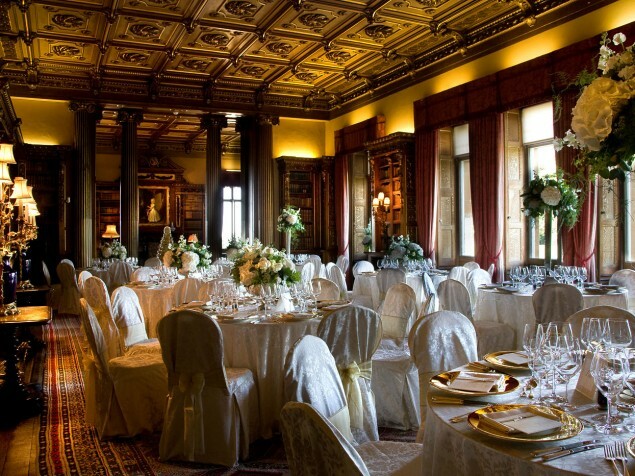 Highclere Castle has been a venue for hosting private events for many years. It was a special place long before Downton Abbey arrived and will continue to be long after the final shoot.